A Mass for Life will be celebrated at 9:30 a.m. on Tuesday January 22, 2019 at St. Mary of the Assumption Cathedral, 151 N. Warren St., Trenton prior to the NJ Right to Life Rally for Life. Find directions to the Cathedral at: https://www.saintmaryscathedral-trenton.org/directions/. All are welcome and encouraged to attend! 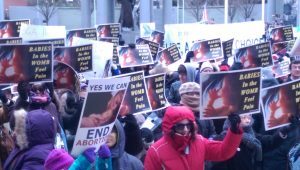 After Mass, there will be ample time to walk the few blocks from the Cathedral to the Rally for Life location (Statehouse Annex) for the 11:00am start of the Rally. For more information, contact Rachel Hendricks rhendr@dioceseoftrenton.org or (609) 403-7192.